Being in business for yourself doesn’t mean you have to be in business by yourself. We are here to support you in every way we know how. Waterproofing & damproofing products application videos, technical bulletins/newsletter are available, equipment knowledge with our nice friends at C J Spray, technical knowledge and support, assistance with specs for architectural projects, or just bouncing an idea off of us, we are a phone call away. Contact 704-334-8222. Add any of our protection products and add 10 years to the warranty. 30 year warranty are available and based on specific contractors market needs. 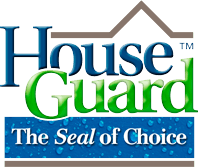 HouseGuard requires training for a day to be authorized to offer warranties and renewed bi-annually. Warranty Registration Process: All warranties are completed online and we will coach you through the process after you are onboard. How do warranties work with HG? Every authorized contractor is responsible for the first year of the warranty period begining from the date of closing for one year. After that HG takes all calls requesting warranty repair work. We determine if the claim is a bonified, if so we contact our applicators for repairs. PLM-100 or PLM-200 are very similar product to TruDry and TruDry XG, but do not carry a performance warranty. Generally used by contractors that do not see the need to offer a manufacturer warranty but get a lower price point. Lower cost allows them to be more competitive and more profitable when price becomes an issue. Houseguard does not manufacturer equipment but we have a good understanding of the kind of equipment options that will fit your needs and we recommend C J Spray, Graco dealers. They have a solid handle on how our types of membranes spray and pump, and offer a good selection and price. We can help you sort out whether you need a box truck or a spray rig that sits on a truck bed, or even a trailer. Then we will connect you with C J Spray directly to make the purchase, without adding to the price of the equipment. 275 gal totes(disposable), 55 gal drums, and bulk. If you use over 15,000 gals per year you could be a good candidate for a bulk tank from Houseguard, give me a call to discuss.